Aloe vera extract is a powerful moisturizer, which penetrates the skin supplying moisture directly to the tissues. It has remarkable healing abilities because it is a natural oxygenator (drawing and holding oxygen to the skin. For the same reason, it is one of the most effective cellular renewal ingredients available for use in cosmetics. While efficiently moisturizing and saturating the skin with oxygen Aloe vera extract preserves the protective hydrolipid layer. 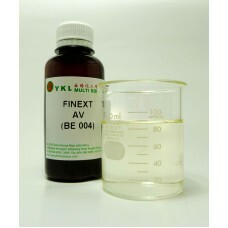 Aloe vera extract is soluble in water and adds it to the cold phase of formulation. INCI NAME: Chamomilla Recutita (Matricaria) Flower Extract TRADE NAME: FINEXT CMM ..
INCI NAME: Green Tea (Camellia Sinensis) Leaf Extract TRADE NAME: FINEXT JGT FUNCTIONS: ..
INCI NAME: Solanum Lycopersicum (Tomato) Extract TRADE NAME: BE 026 -..
INCI NAME: Morus Alba (Mulberry) Root Extract (and) Butylene Glycol (and) water TRADE NAME: ..